Viknesh Vijayenthiran March 15, 2018 Comment Now! 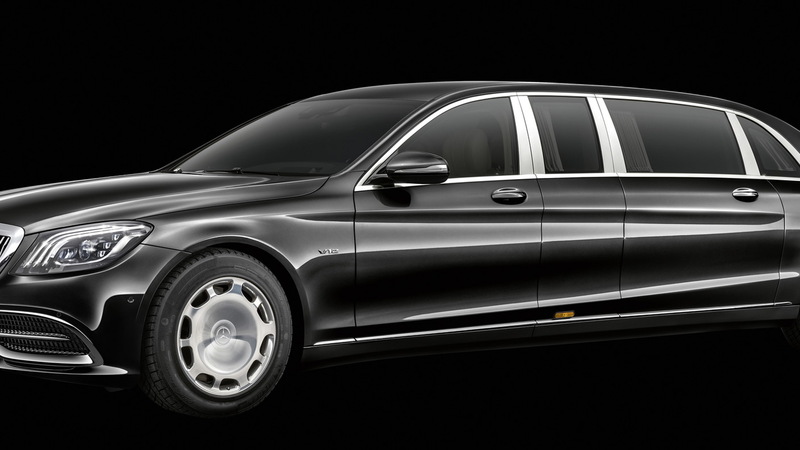 For ultimate baller status you need to step up to Mercedes-Benz's S-Class Pullman. That way you'll be in the same company as former popes, kings and queens, and the odd dictator. 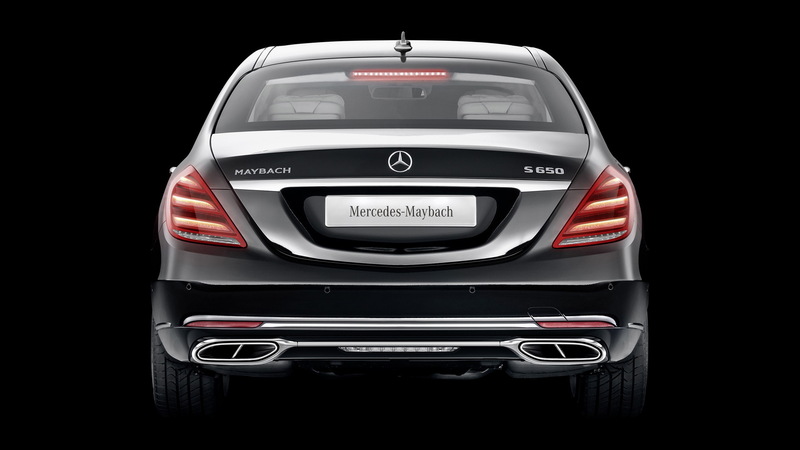 The latest version is offered by the Maybach sub-brand, and it's just been updated with even more swank and performance. Not that you'd actually be doing the driving in your Pullman, but we're sure you'll be happy to know the car's 6.0-liter twin-turbocharged V-12 is now delivering 621 horsepower, up from 523 hp previously. That will get you and your cohorts to 62 mph from rest in a brief 6.5 seconds. Other changes include the new grille, whose vertical slats are said to have been inspired by a pinstripe suit, as well as 20-inch wheels whose 10-hole design is exclusive to Maybach. Should you fancy, you can also go for a 2-tone paint finish for the car's expansive exterior. How expansive? 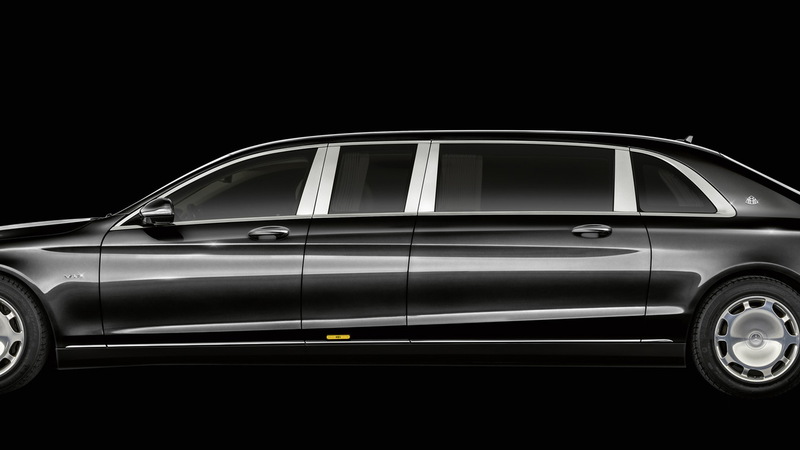 We're talking a length of 256 inches, or 16 more than a Rolls-Royce Phantom Extended Wheelbase. While it's all business on the outside, it's a party inside thanks to a champagne cooler with accompanying flutes, a top-of-the-line Burmester sound system with independent control for the front and rear, and two rear rows with seats facing each other. The rear-most seats include separately-movable backrests (up to 43.5 degrees of angle), calf support, extra-cushion head rests, and of course the most luxurious of leathers, electronics, and more. 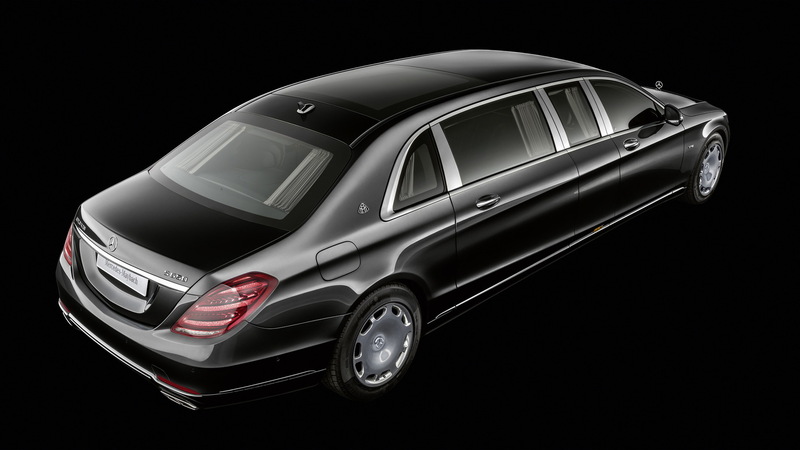 Pricing for the Maybach S-Class Pullman starts at approximately $618,000. That figure can quickly rise to $1 million with options, however. For some buyers, the options might include armor protection.